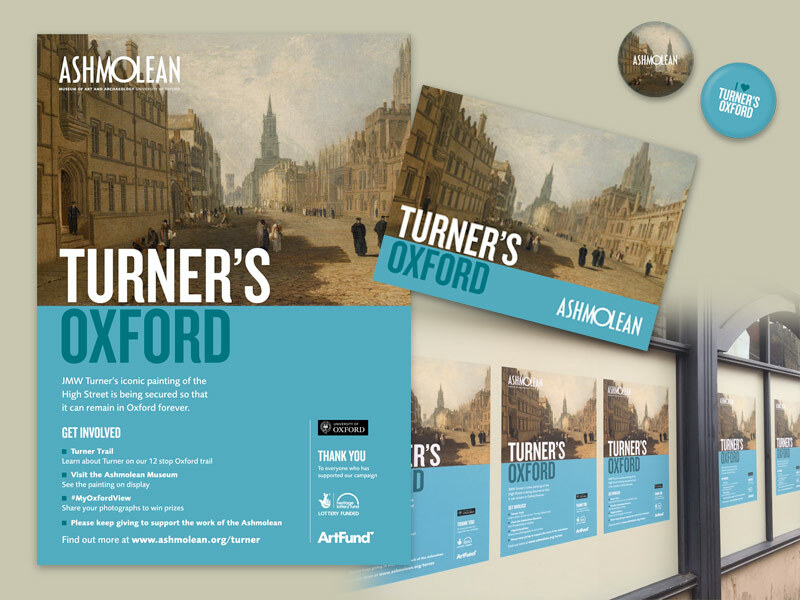 Turner's Oxford is a fund-raising and development campaign to acquire JMW Turner's iconic 1810 painting The High Street, Oxford (now secured by and displayed at Ashmolean Museum in Oxford) and to support conservation, collection display and education programmes throughout the Museum. I worked alongside the Ashmolean in-house design team and event organisers to design and create a series of assets as part of the campaign. Posters, postcards, badges and panels were widely distributed, including the positioning of promotional posters across several key, high-profile sites across Oxford city centre.